Choose any combination of fields below for nearest results! We understand finding the right camp or activity for your kids is not easy. That's why we offer Find It For Me! We can save you time and help you find camps or activities that fit your child, your schedule and your budget. Our team of professional camp advisers will research local programs and email you a list of activity providers that includes their addresses, phone numbers and web site links within 2 business days for FREE. Find it for me, please! 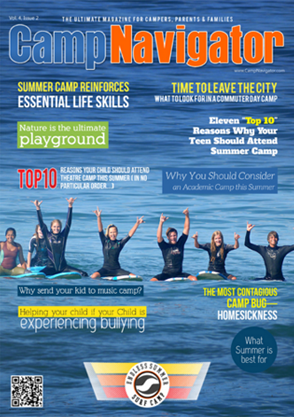 CampNavigator.com is the perfect online platform for prospective campers & their parents.